Register now for the upcoming 2nd Annual Dory Dash 5km Road Race, which takes place on Saturday, July 7th at 8:00am. The race route begins at Holy Rosary Parish and ends at the St. Philip’s Marina. Registration is now open online through the Running Room Event Registration. The cost is $25.00 per participant. All those who register will receive a race kit and medal. For further details, contact Nick Miller at 895-5661. 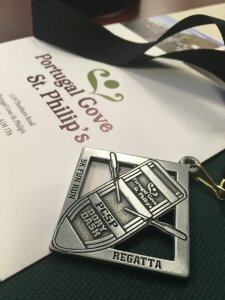 For a list of all the 2018 PCSP Regatta Festival events, click here!